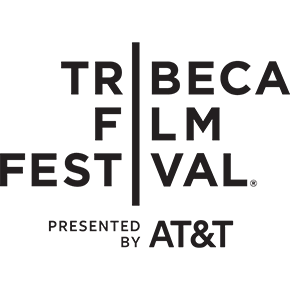 NEW YORK, NY– March 18, 2019 –The 2019 Tribeca Film Festival, presented by AT&T, will debut highly-anticipated new and returning TV series and spotlight creative online storytelling work. The Tribeca TV lineup will include 16 shows made up of eight series premieres, two season premieres, one feature documentary, and five indie pilots. The N.O.W. (New Online Work) section, sponsored by HBO, will showcase 12 projects from creators using digital platforms to tell original stories in addition to special spotlight programs. The N.O.W. Creators Market will return to connect online creators with industry professionals. Building on the Festival's successful film reunions, for the first time this year, Tribeca TV will celebrate anniversaries of acclaimed series In Living Color and The Simpsons, the longest-running American sitcom, marking its milestone 30th anniversary. The hit series Mr. Robot will return to Tribeca after its first episode screened at the Festival in 2015 to celebrate the final season with a special Tribeca Talk conversation with stars Rami Malek, fresh off his Oscar win, Christian Slater, Carly Chaikin, and creator Sam Esmail. The 18th Tribeca Film Festival takes place April 24 - May 5. "When some of the most cinematic storytelling continues to happen on screens of all sizes and shapes, we were particularly inspired this year by the scope, innovation, and accomplishment of the so-called 'small' screen,” said Cara Cusumano, Festival Director of the Tribeca Film Festival. “It's a privilege to showcase these diverse works with a robust program that speaks to the limitless potential of the episodic form." "Each year, our small but mighty section of New Online Work showcases an increasingly diverse group of perspectives, genres and formats,” said Liza Domnitz, Senior Programmer, Tribeca Film Festival. “In 2019, we selected a group of filmmakers whose work delves into the reality of the everyday minutiae of life—career confusion, single motherhood, burgeoning sexuality—as well as the dissociative ways our brains utilize to get through it all. Through 12 works that mix comedy, sci-fi, documentary and movement, the 2019 N.O.W. program promises an eclectically evocative mix of voices." Laura Moss is a filmmaker from New York City. Her recent short film, Allen Anders – Live at the Comedy Castle (circa 1987) premiered at SXSW 2018. Her previous short, Fry Day, screened at SXSW and Tribeca in 2017. Laura was named one of Filmmaker Magazine's 25 New Faces of Independent Film. Her debut feature, After Birth, will be produced by Fangoria Films in 2019. Joe Penna is a Brazilian writer and director. For the past 12 years, he has maintained a YouTube channel dedicated to inventive music videos and short films, and was selected as one of the top 10 new directors at the 20th Cannes Lions Saatchi & Saatchi New Directors' Showcase. Penna's debut feature, Arctic, was shot entirely on location in Iceland and stars Mads Mikkelsen, and was part of the Official Selection for the 2018 Cannes Film Festival. He is currently in pre-production on Stowaway, starring Anna Kendrick and Toni Collette. Nick Borenstein is a New York-based writer, director, dancer and actor. He wrote, directed and starred in the comedic digital series Trip, a selection of IFP's Screen Forward Lab, and The Buddy System, a short film that was developed into a digital series for EliteDaily.com. His most recent series was a finalist for Sundance Institute’s YouTube New Voices Lab, and he staged a live dance performance entitled "5INCO" during his 2019 Artist Residency at Casa Lü in Mexico City. Nick has also worked in the programming, casting and marketing departments at ABC, NBC, HBO, Comedy Central, Pivot TV, Hud:sun Media and Topic Studios. Staceyann Chin is a 2017 LGBTQ Humanist Award recipient. Widely known as a co-writer and original performer in the Russell Simmons Def Poetry Jam on Broadway, her poetry has seen the rousing cheers of the Nuyorican Poets' Café, one-woman-shows Off-Broadway, writing workshops in Sweden, South Africa, and Australia. Chin’s three one-woman shows, Hands Afire, Unspeakable Things, and Border/Clash all opened to rave reviews at the Culture Project in New York City. Her critically acclaimed solo theater piece MotherStruck, directed by Cynthia Nixon and produced by Rosie O’Donnell, opened in New York in December of 2015. Micaela Birmingham is an Emmy Award-winning writer and director with projects spanning public service, comedy, and branded content. As Head of Studio for Scary Mommy, Micaela oversees the development and production of original series. She is the creator of Lullaby League, a competition show hosted by Jim O'Heir in which a cappella singers compete to sing a real baby to sleep. Birmingham is also the creator and executive producer of the popular web series Momsplained and Madge the Vag. Her work has been featured in the New York Times, The Wall Street Journal and on CNN and the TEDx stage. For the third year in a row, The New York Times' Op-Docs brings five inventively crafted documentary shorts to Tribeca N.O.W. This year’s group of films, produced with Concordia Studio, find a common thread in stories of immigration and belonging, captured with poignant and unflinching eloquence by a diverse range of artists. Mary Evangelista is an award-winning filmmaker born in the Philippines with an MFA from NYU Tisch, Mary pursues transformative stories full of bullish heart/levity. Her screenings include Tribeca 2019 (co-creator, Water Melts), Sundance 2019 (creator, Fran This Summer), and Slamdance 2018 (producer, Fish Bones). She is a Film Independent's Project Involve Directing Fellow. Vishaal Reddy is an actor, singer, and creator based in New York. Vishaal hopes to develop more TV & film content geared towards making South Asian stories more multi-dimensional and accessible to the masses. As a member of the queer community, he hopes to challenge stereotypes that often plague queer people of color's narratives in media. Rain Valdez is an out and proud transgender actress and award-winning filmmaker. She played Coco in season 2 of TV Land’s Lopez and doubles in Amazon's Transparent as Miss Van Nuys on screen and a Producer behind the scenes. She recently starred in a half hour comedy pilot directed by Paul Feig for Freeform TV, and also just completed showrunning and starring in Razor Tongue, a web series she wrote.